A Canoa Quebrada Tour Package with Fortaleza Beaches is easy to book and more affordable than ever! Just send us the departure and return dates from Fortaleza and we will check availability and book your trip. Our package includes transport with departures and returns to and from Fortaleza, hotel accommodation with air conditioning, breakfast and a swimming pool. 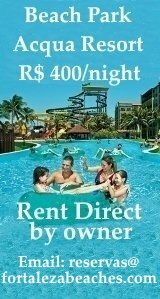 to your hotel in Canoa Quebrada. 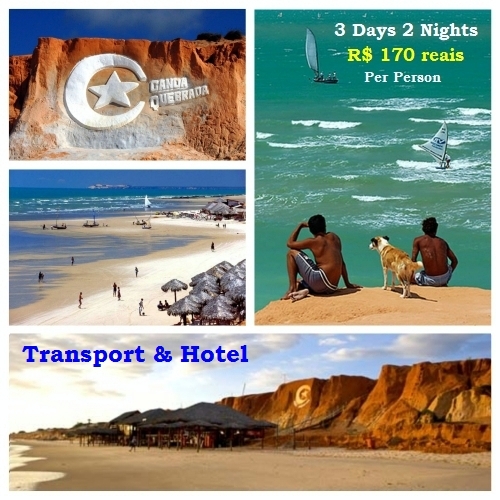 The Canoa Quebrada Tour Package includes the transport 164 km from Fortaleza by paved road along state highway CE-040. The trip begins conveniently from your hotel in Fortaleza with departures between 7:00 A.M and 8:00 A.M and returns from Canoa Quebrada at 4:00 P.M. everyday including holidays. The transport includes a stop in Morro Branco halfway between Fortaleza and Canoa Quebrada from 9:00 A.M TO 11:00 A.M. In Morro Branco you can participate in an optional dune buggy trip along the beach to Praia das Fontes or just relax and enjoy the views in one of the beach bar restaurants. * Rates are based on 2 passengers traveling together. 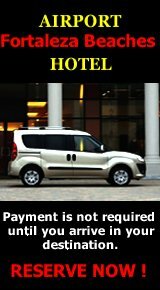 * Rates for more than 2 nights, 3 or more passengers, or if you are traveling with children. 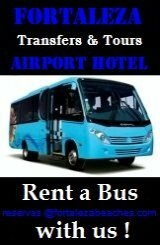 * If you are interested in booking transport or hotel only. 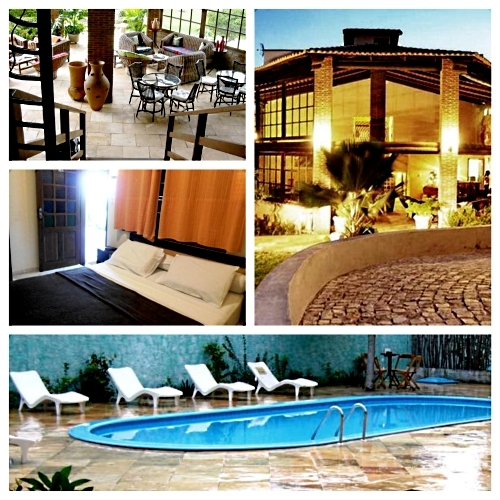 Arrival at your hotel in Canoa Quebrada is between 12:30 P.M. and 1:00 P.M. To really appreciate Canoa Quebrada's amazing setting we recommend at least a 2 night stay but we offer discounts for overnight trips as well. We have 2 hotel options with swimming pools. All of the apartments include private bathrooms and balconies, minibars, air conditioning, cable TV and Wi-Fi throughout. The grounds include an outdoor swimming pool, garden and sitting area. A daily buffet breakfast is served with local tropical fruits and breads. 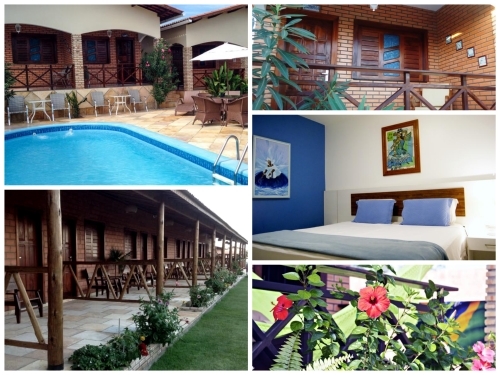 Pousada Iguana Canoa Quebrada offers a relaxed tropical atmosphere. All apartments with private bathrooms, air conditioning, free satellite TV and Wi-Fi. An outdoor swimming pool and private parking on site. The pousada has a 24-hour front desk and some rooms offer a seaview. An international buffet breakfast between 7-9 A.M. daily. Pousada Jardim dos Orixás apartments include air-conditioning, minibars and private bathrooms with free Wi-Fi and cable TV. Private balconies with views of the swimming pool and garden. A full buffet breakfast is served daily. Free private parking is available. 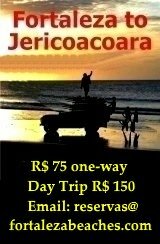 To book transport only to Canoa Quebrada join us on the Day Trip "3 Beaches 1 Day"
Departures and Returns 7 Days a Week ! enter in contact with FORTALEZABEACHES.COM. Please feel free to contact us on WhatsApp! !